Heard about AmeriCorps? 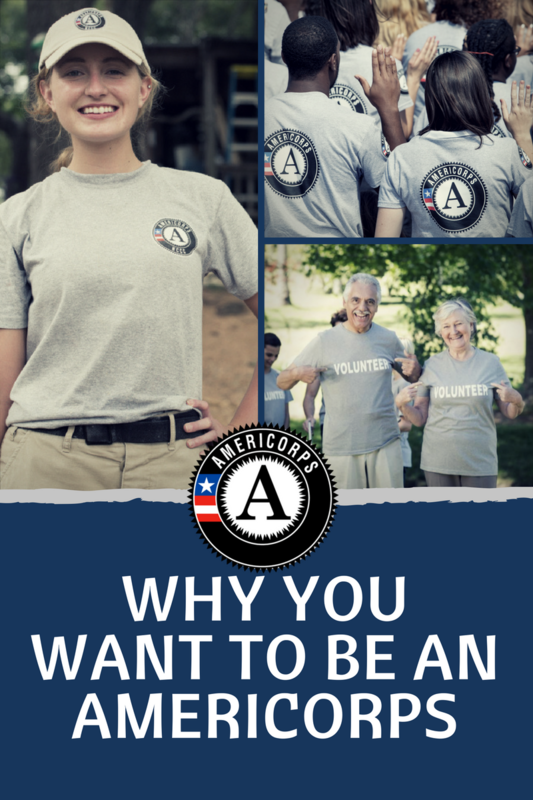 According to Wikipedia, AmeriCorps is: a civil society program supported by the U.S. federal government, foundations, corporations, and other donors engaging adults in public service work with a goal of helping others and meeting critical needs in the community. That is a lot of fancy words saying: AmeriCorps members help people. I tend to tell people: “You’ve heard of the PeaceCorps, right? Well-this is the same, except you are staying in America.” That usually clears it up. But…. why would you join the AmeriCorps? If you are just graduating college and looking for a job that can give you real hands on experiences to build your resume, then AmeriCorps is something you should look at. Are you older, and thinking about going back to school and have a heart for people? Then you should look at joining AmeriCorps. Are you looking for a way to work for a cause you care deeply about? You should think about joining AmeriCorps. The Upstate Family Resource Center and other nonprofits in Spartanburg County are looking for part-time AmeriCorps members to directly serve low-income households by providing care coordination and financial literacy services, preparing and filing income tax returns for free, and assisting households to apply for state and federal benefits. Does this sound interesting? I found that AmeriCorps was a great way to ease into the working world. Now, after my year of service, I’m excited to have a longer-term role somewhere so that I can really dig into a position and make lasting and meaningful changes on another level. Through Americorps, you get hands on experience into what it means to be in poverty. You learn about what it is to give back. And most importantly, you understand what being a part of a community is all about. These experiences are beneficial because everyday you get a life lessons that is hard time finding elsewhere. Interested? Click to apply and learn more!